Any kind of hair loss can be a traumatic experience for both men and women. Although there can be various factors at play, many scientists have shown that nutrient deficiencies in the body along with stress and lifestyle changes can have a negative impact on hair growth. Vitamin B7 (biotin) is has been shown to boost hair growth and strengthen nails. This review will look at Natrol Biotin 10,000 mcg to find out if you can benefit from taking this supplement. Biotin is classified as a B complex vitamin, although, it is also known as vitamin H. It helps the body to properly metabolise fats and amino acids, which is necessary for cell growth. Biotin also plays a key role in keeping your skin, hair, and nails healthy. Natrol Biotin 10,000 mcg contains a maximum strength dose of biotin to support healthy cell growth. Its most common use is for people who suffer from brittle nails or who have noticed that their hair is thinning. The many positive customer reviews of Natrol Biotin show that it is effective in reversing the effects of hair loss. It is also used effectively by women who want to grow longer, healthier hair. Biotin is a water-soluble B-complex vitamin which means that the body can’t store it. Therefore, it constantly has to look for sources of biotin for all the metabolic processes to function properly. This also means that it is not possible to overdose on it as it will pass through the body. The recommended dosage of Natrol Biotin (10 mg daily) ensures that the body receives its daily needs for this nutrient. The product is manufactured in the USA and contains no milk, wheat, yeast, gluten, and starches. Biotin is necessary for cell growth and, therefore, it is essential to make sure that more hair doesn’t fall out that re-grows. When taken orally, biotin reacts with enzymes in the cells and to produce amino acids, which are necessary for protein. Taking supplements containing biotin help in hair growth. These factors have a damaging effect on hair growth. Maximum strength Natrol Biotin 10,000 mcg makes up for any deficiency in the body and makes sure that hair growth reaches its full potential. What Are the Ingredients in Natrol Biotin 10 000 mcg? Natrol Biotin contains biotin (also known as vitamin B7, vitamin H or coenzyme R) and calcium. A naturally occurring part the B complex vitamins that the body needs to convert food into energy. All B vitamins are necessary for a healthy nervous system, but biotin is especially beneficial to keep your hair, skin, eyes, liver, and nails healthy. It has also been shown to help regulate your blood sugar. A study published in the Journal of Nutrition showed that often pregnant women are biotin deficient and, if this is the case, then supplements can assist in healthy fetal development. You should always consult with a doctor if you are pregnant and are thinking of starting to take supplements. It is well known that calcium is essential in keeping bones and teeth strong. However, it is also an important factor in the growth of healthy hair. The recommended dose of biotin is usually around 2 mg per day. The maximum dose of Natrol Biotin is 10 mg and will make sure that all your nutrient needs are met for healthy hair growth. Remember that biotin is a water-soluble vitamin and, therefore, is not stored by the body. If you are taking the supplement for the first time, it is best to start with a lower dose and then gradually increase it so that your body can adjust. 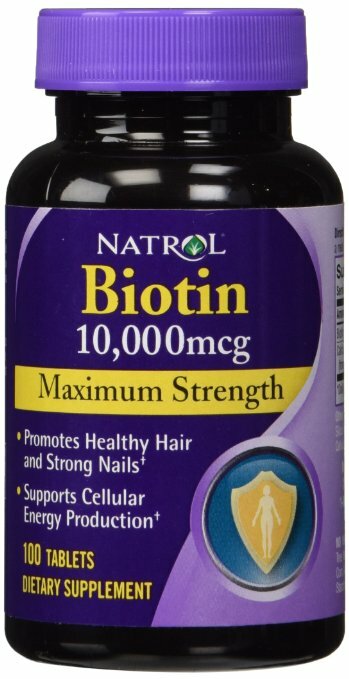 The majority of reviews for Natrol Biotin 10 000 show that those using the biotin supplements find that they help prevent more hair loss. Many have backed up these claims with pictures that they have posted online. 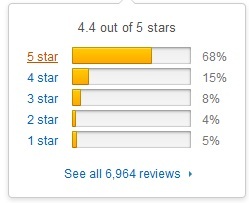 Some reviews also show that some have experienced hair regrowth. 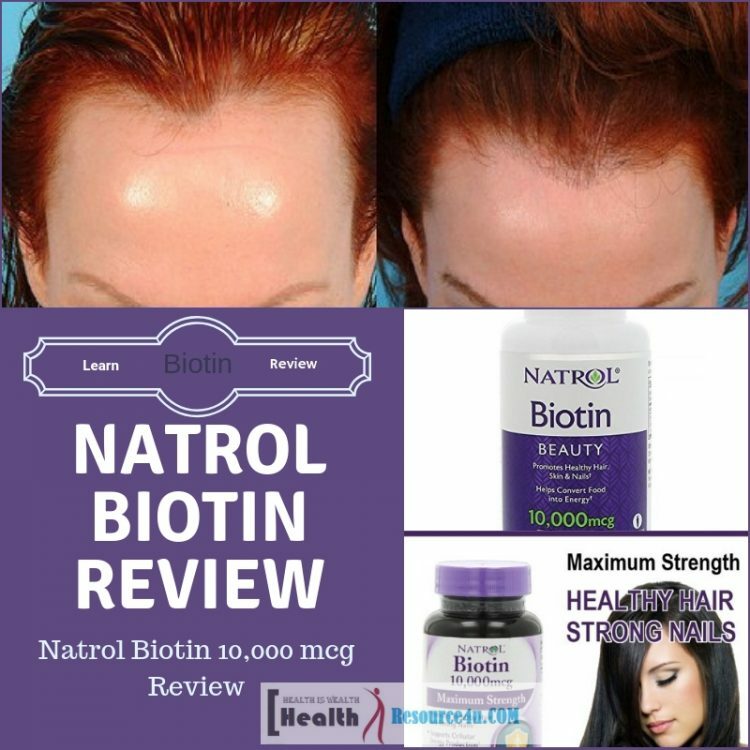 Most reviews on Natrol Biotin show that people experience healthier and growing nails before benefits to hair growth is noticed. Does Natrol Biotin Have Any Side Effects? Natrol Biotin is safe to use. It is very rare for someone to suffer side effects from biotin. 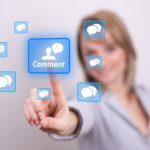 However, some people have shown an adverse reaction to biotin supplements and some people report that it has caused them to have acne outbreaks. These side effects are usually because of other underlying health issues and can be avoided by reducing the dose. If you are taking Natrol Biotin just for its benefits to your nails, then hair growth could be viewed as a side effect. 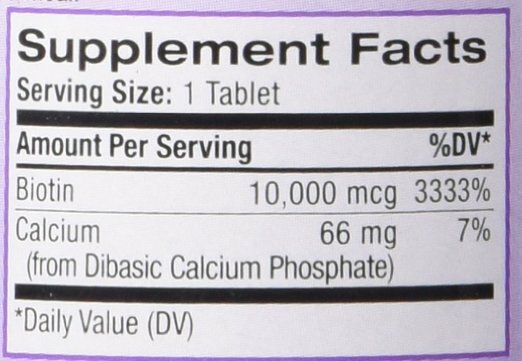 You should not exceed the recommended dose as stated on the product. Many customers positively review Natrol Biotin supplements. Many say that it is one of the best hair, skin & nail supplement on the market. Others report in their reviews that they have experienced noticeable hair growth and that it is now much healthier and shiny. Most customers say that they have noticed a marked improvement in nail health that that nails grow much quicker. There are many biotin supplements on the market, but Natrol Biotin 10,000 mcg is one of the most popular and potent supplements. Compared to similar products, it offers much more biotin in relation to the price. Natrol Biotin 10 000 mcg can be bought online. It costs around $10 for 100 maximum strength capsules. 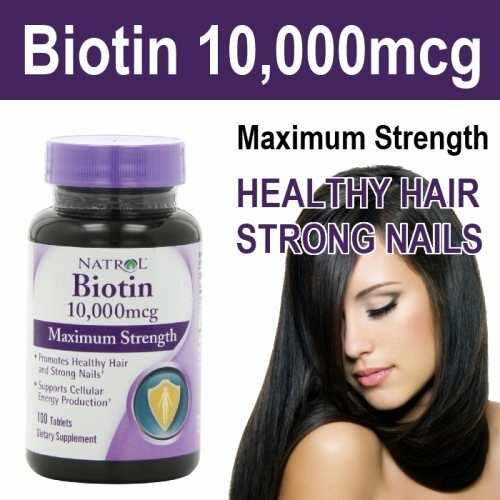 If you need to rejuvenate your hair growth and enjoy healthier nails, then Natrol Biotin 10 000 mcg is an excellent product to buy. how much time that i will see the results ? coz i am taking regullarly about a month but no result found. Because mens and womens hair are different…was there any feedback from us guys on Biotin? Us guys have the added problem of testosterone.